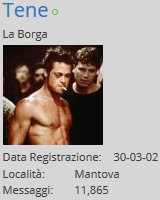 Presto, una medaglia a quest'uomo! Discussione: Presto, una medaglia a quest'uomo! A Reddit user has managed to get over 3,000 CS: GO players VAC banned by releasing a bunch of fake multihacks over the course of two weeks. You definitely shouldn't cheat in any of the games in our list of the best first-person shooters on PC. Cheating is for cowards and people who can't aim. As well as extending cheaters' in-game viewing angles and supplying a constant stream of ammo and health, these multihacks also did a few other things behind the scenes to make sure a VAC ban was received. "The first two releases had a "timer" in them which meant the features that instantly VAC banned them would only be activated after a certain time (e.g. 10 PM on the day after the release)," writes Redditor AndroidL. "the final hack (with over 3.5k downloads) just instantly VAC bans them as soon as they open the hack and join a game." These honeytrap hacks released by AnroidL received 26,000+ views and 5,500+ downloads in total, leading to the banning of over 3,000 accounts. If you want to see some of the salty responses, check out this Imgur album of a selection of 'victims' complaining. Some of them are pretty funny, especially the one who says the person who created the hack owes them money. "The first release received approximately 1k downloads, which contributed to the bans for those two days," says AndroidL of the stats. "The second release received approximately 1k downloads, too, which contributed to stopping the downwards trends on the number of bans received. "The third release received 3.5k+ downloads which had a very noticeable affect on bans for the following week (this one instantly banned them as soon as it was opened, 3,500+ downloads = 3,500+ bans)." What do you lot make of this? Is AndroidL the hero non-cheaters deserve, or should it be left to Valve to clean up their game? Let us know in the comments. Also: Old ma anche Stocazzo! Re: Presto, una medaglia a quest'uomo! I cheater devono fare una brutta morte. Ha fatto bene! Maledetti aimbot e wallhack!